The Seychelles which consists of some 115 islands and islets in the Indian Ocean were sighted by Arab navigators as far back as 851. In 1501, the Portuguese Explorer, Joao de Nova discovered the islands of Faquhar in 1502, another Portuguese Admiral, Vasco da Gama discovered the island now known as the ‘Admirantes. In 1609, an English expedition arrived at Mahé and made the first recorded landing. In 1742, a French expedition landed at Mahé and visited some other inner islands which they named the Labourdonnais islands – in honour of Bertrand Francois Mahé de La Bourdonnais (1699-1753) Governor of Mauritius, after whom the main island of the Seychelles Mahé, was named. In 1756, the French took possession of the Seychelles which they named so, in honour of Jean Moreau des Séchelles (1690-1960), Minister of Finance of King Louis XV. In 1770, the first settlers arrived on the island of Ste Anne and in 1778 the fist establishment was created on Mahé. It was called L’Etablissement du Roi. Hundreds of slaves were brought to Mahé to work on coconut and cotton plantations. In 1794, the English captured the Seychelles and in compliance with the Treaty of Capitulation the French commandant, Jean Baptiste Queau de Quincy (1748-1827) remained until 1811 after which he was appointed as Juge de Paix. The Treaty of Paris 1814 ceded the islands of Seychelles and Mauritius. It was administered by a series of civil commissioners until when by Letters Patent of 31 August of 1903, Seychelles became a crown colony with a Governor, Ernest Bickham Sweet Escott (1857-1941), Executive and Legislative Councils. In 1939, the first political party was launched. It was called the Seychelles Tax Payers and Land Owners Association. 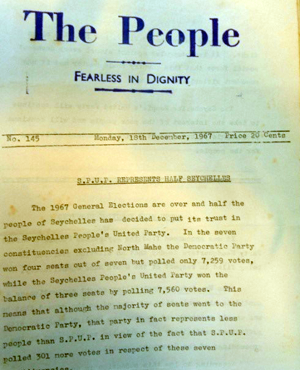 In 1963, the Seychelles Island United Party was founded with the mission to “deal with the welfare of and take democratic action for higher standard of living for the People of Seychelles”. Evidently, the early 1960’s would be the period of political awakening for the Seychellois people who were now ruled by their 15th governor. Fifty years ago, Seychelles was a British colony with a growing population of 44,000 inhabitants. The governor was Julian Edward George Asquith (1916-2011). At that time Seychelles earned its revenue from an agricultural economy, so hundreds of families earned their livelihood on coconut estates and cinnamon plantations. The social injustice that had been created by the politics of colonialism during the preceding decades had resulted in much poverty among the general population. Many families lived in abject conditions. Many children could not go to school. There were beggars in the streets. There was malnutrition, impoverishment and destitution. 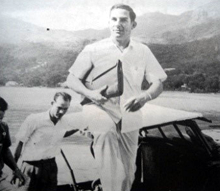 A young Seychellois lawyer named France Albert Rene (1935- ) dared to dream of changes. As a child, he had himself experienced and witnessed social hardship and inequity. His concern and empathy for the misfortune of the working class induced him to undertake a challenge…. majority support. His dedication and zeal was relentless. The revolting state of the livingconditions of the poor and the meager salaries of the laborers strengthened his resolve. On the 21st August of 1964, he formed the Transport and General Workers Union in a bid to protect workers’ rights. Later, other trade unions were created. The SPUP held its first general meeting on Saturday 15th August and its first public meeting the following day on the 16th on Gordon Square (now known as Freedom Square). It was on that particular Sunday that the Seychellois nation actually began its liberation struggle. People suddenly realized that life in Seychelles could be better. After all, when they looked at the SPUP flag, they saw…a rising sun. Hope. The next day, on Tuesday 17th August, the first issue of the SPUP newspaper THE PEOPLE came out. A month later, on the 3rd September, the first sit- down strike in Seychelles occurred when tracking station workers went on strike to protest against the hour employment policy. The strike ended on the 12th September when new terms of service as demanded by the Transport and General Workers Union were agreed. The year 1964 ended with a significant political victory for the SPUP when universal adult suffrage was granted on 23rd November. 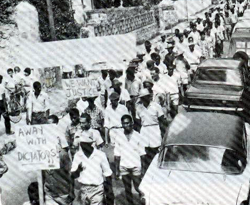 The second half of the 1960’s was marked by protest marches, strikes and political rallies. The suburbs of Victoria reverberated with cries from Gordon square for justice! Equality! Lower food prices! Better treatment! And freedom! With each SPUP meeting and rally, followers swelled, the struggle gathered momentum and the revolutionary spirit flared up. As they strived to gain respect and freedom, the people became tenacious, unrelenting, defiant and of course, fearless in dignity. In a by- election of October 1965, Albert Rene was elected to the legislative council. He defeated the SDP candidate with 450 votes against 395 votes. The aspirations of SPUP were not confined to the shores of Seychelles. 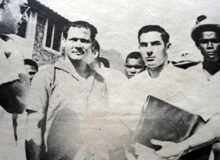 In Kenya, were many Seychellois men had gone too seek employment in the late 1950’s, a branch of the SPUP was formed in 1964 by Guy Sinon (1933-1992). 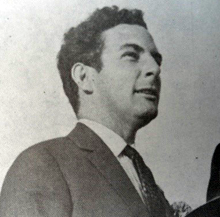 In the General elections of December 1967, Albert Rene won 1587 votes from a total of 2536 votes. He served three years on the first Governing Council which was based on a new constitution recommended by Sir Colville Deverell (1907-1995), an advisor appointed by the colonial office. 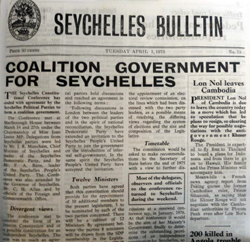 By the end of 1969, both political parties the SPUP and the SDP agreed that political developments in Seychelles required a new constitution. 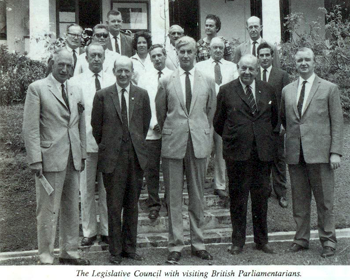 In September of 1969, Lord Shepherd (1918-2001), Minister of state in the foreign and commonwealth office arrived in Seychelles to hold consultation talks with the governor, Sir Bruce Great Batch (1917-1998) and the two political parties. Subsequently, SPUP and SDP delegations attended the Seychelles constitutional conference at Marlborough House, London on March 9th 1970. Constitutional reforms that were approved made provisions for a ministerial system. Later that year, on the 11th November of 1970, general elections were held and SPUP won 5 of the 15 seats in the new Legislative Assembly SDP won 10 seats. The SPUP candidates were- Michael Green and Rifned Jumeau of Victoria south, France Abert Rene and Guy Sinon for east Mahe and Karl St Ange for La Digue. The leader of the SDP, James Mancham became prime minister. Disappointment and frustration galvanized the masses into a revolutionary frenzy. 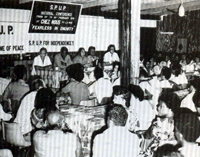 On the 7th January of 1973, the SPUP was officially recognized by the OAU (Organization of African Unity) as a liberation movement in Seychelles. 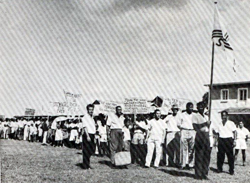 On the 11th March of 1973, the longest march by the largest number of demonstrators took place in the history of Seychelles. That day, thousands of Seychellois from Mahe, Praslin and La Digue walked from Anse Aux Pins to Gordon Square in Victoria. There, they clamored for independence. Like the 1960’s, the 1970’s were tumultuous times. After nearly a decade of protestation, the people were still being deprived of their rights. Colonial tyranny persisted. It was in the election of 25th April 1974 that made it clear that the liberation struggle had reached the point of no return and that the road to independence had been definitively carved by the SPUP voters. SPUP won two seats out of 15, and polled 19,920 votes (47.6%) SDP won 13 seats and polled 21,902 votes (52.4%). SDP cried out that it was their landslide victory. SPUP reveled quietly, knowing that it was their prophetic victory. On the 14th February of 1975, the SPUP held its first National Congress at Chez Nous, Point Larue. There, France Albert Rene declared that SPUP and SDP would form a coalition government in view of the country’s impending independence. 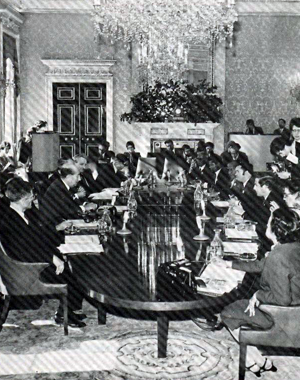 In March of 1975, delegations of both parties attended a second constitutional conference at Marlborough House, London. It lasted from 14th to 24th March. 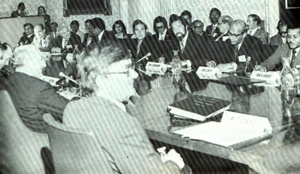 In June of 1975, a coalition government was formed. In January of 1976, another constitutional conference was held under the chairmanship of Edward Rowlands (1940-), the parliamentary undersecretary of state for foreign and commonwealth Affairs. 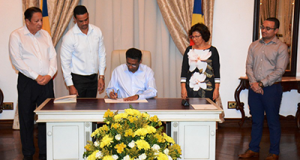 The leaders of SPUP and SDP agreed on an Independence Constitution for Seychelles. On the 29th June of 1976, Seychelles celebrated its Independence after having been part of the British Empire for 162 years. e liminated the worst aspects of colonialism. Social injustice still persisted. Economic inequity continued. Racism still existed. 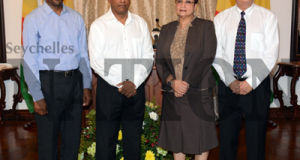 Seychelles braced itself for the inevitable….. 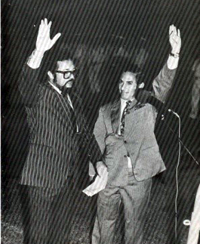 The coup d’etat happened in the early hours of June 5th 1977, while President James Mancham was in London to attend the commonwealth meeting of the Heads of State. A group of SPUP militants took over the radio station and the police establishments. A people’s army (SPDF) and a people’s militia were established. The world praised Seychelles for embarking on its Revolutionary democracy. During that faithful month of June, diplomatic relations were established with governments of Western and Eastern Europe. On the 12th July of 1977, the first meeting of the cabinet of the new government took place at State House. On the 6th October of 1977, Minister Guy Sinon (1933-1992) of foreign and tourism addressed the United Nations General Assembly. On the 30th December of 1977, President Rene presented the 1978 budget of 205 million rupees and declared 1978 to be the Year of Discipline. 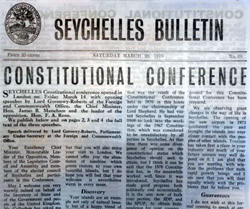 On Monday the 26th March of 1979, the new constitution of Seychelles came into force. It provided for one party and recommended the country be divided into 23 electoral districts. And, that same year on the 27th of June, France Albert Rene became the first elected President of the Republic of Seychelles. He won 26,390 votes. On Tuesday the 3rd July of 1979, the first council of ministers of the SPPF government sworn in at state house. 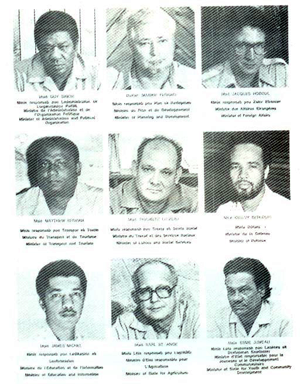 The ministers comprised the seven ministers who, since 5th June 1977 had formed the new government plus two new ministers, Mr Karl St. Ange and Mr. Esme Jumeau. During the year 1979, a radical restructuring of society based on socialist principles began to be put into application. To enable the popular masses to participate in our nation -building exercise, political education seminars were organized at district levels. The people were called upon to become activists and militants and to ‘be vigilant at all times’. It was on the 1st March of 1979, that the SPPF government introduced its social security scheme. During that month, over three thousand old people received a pension of Rs 200 each. The population was of 62,000 inhabitants. 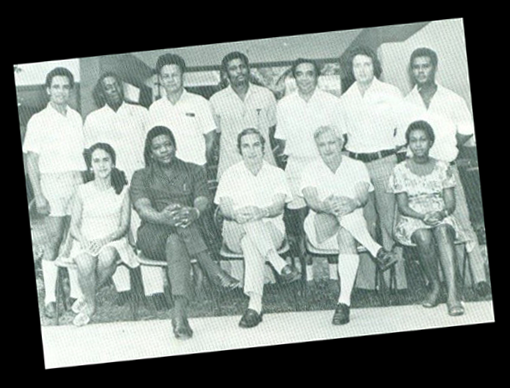 The 1980’s saw progressive transformation of all sections of the Seychellois society. Socio-economic programmes of development were vigorously implemented in accordance with the Republic’s ambitious five- year national development plans. By the end of the 1980’s it was evident that the ideals of socialism that the SPUP had once proclaimed in its manifesto had been amazingly fulfilled. From education, social services, industrial production to Agricultural development, our country had made giant leaps of social progress and economic prosperity. Reform programmes in education included a primary and secondary schools expansion programmes in order to provide free and compulsory education up to S3. The National Youth Service (1981) was a fundamental project in our education system. The Seychelles Polytechnic (1984) a post secondary educational institution was established to provide vocational training related to the economic needs and manpower requirements of the country. The new National Health plan had created a new hospital (1987) and established health centers in all the districts. The SMB (the Seychelles Marketing Board), (1984) a parastatal company which among its many projects established a supermarket in Victoria that was beneficial to the citizens. A television broadcasting station RTS (1983) brought the world closer to us and a canning tuna factory (1987) that provided employment to hundreds of Seychellois workers and brought millions of rupees in revenue. 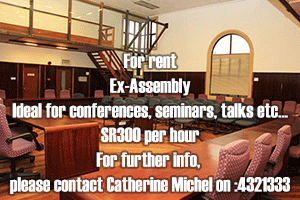 A decade after its liberation, Seychelles had become a veritable welfare state… But…. not without threats to its sovereignty. On the 25th November of 1981, a group of 45 South African mercenaries arrived at the airport on a civilian flight from Swaziland in the guise of a drinking club ‘Ancient order of froth blowers’ (A.O.F.B). After a gun battle with SPDF most fled back to South Africa aboard a hijacked civilian airline. The seven who were left behind were charged with treason and sentenced to death. They were granted presidential pardon and were deported to South Africa. 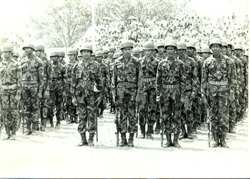 On 17th August of 1982, an army mutiny by a group of soldiers from the SPDF terrorized the nation for two days. The rebels took control of the radio station, the central police station, the new port and the Cable and Wireless telecommunications installations. By afternoon, the next day, they were overpowered by the SPDF forces and all the rebels surrendered. The Seychellois people had become a happy and prosperous nation. The people manifested their gratitude and support for the socialist regime of the second Republic by giving France Albert René two resounding victories during the 1980’s elections. In 1984, he got 32,883 votes from a total of 35,449 votes cast. In 1989, he got 37,703 votes from a total of 39,237 votes cast. The tempo of economic growth and social accomplishments continued throughout the 1990’s despite a considerable amount of political turmoil. On the 3rd December of 1991, a multiparty system of government was approved by an extraordinary SPPF Congress. Following that historic decision, a constitutional commission comprising of 14 SPPF representative and 8 DP representatives was appointed to draft the constitution for the third Republic. On June 18th 1993, a referendum (73.9%) voted for a new constitution. June 18th was later declared the national day for the republic of Seychelles. If the new constitution which allowed for a multiparty democracy had invited the possibility of a change of government , the results of July 23rd of 1993 presidential elections was the ultimate vox populi victory for President France Albert Rene and the SPPF government competing against two political forces, namely the DP and the United Opposition(made up of the Parti Seselwa, National Alliance Party and the Seychelles National movement ) France Albert Rene won 25,627 votes (59.5%), whereas the DP won 15,815 votes (36.72%) and the united opposition won 1,631 votes (3.79%) . the SPPF National Assembly candidates won 21 of the 22 seats.The first presidential election of the third republic was a spectacular commendation of the SPPF government and a powerful vindication of its socialist principles. On the 14th August of 1996, James Alix Michel sworn in as Vice- President. In the 1998 presidential elections, 31,048 voters (out of 47,550) assured France Albert Rene of the Seychelles Nations loyalty. And again in 2001 with 27,223 votes out of 51,145 votes cast. Evidently, the SPPF’s utter supremacy in national politics was absolutely indisputable. During the first decade of the third republic, Seychelles maintained its rate of development. Reclamation projects on the East coast produced hundreds of hectares of land for housing estates and industrial establishments. The government ventured into new fields of economy by the exploitation of our national assets and our strategic geographic position in the Indian Ocean. The creation of SIBA (1995) launched our country into off-shore banking activities in a bid to increase the scope of our economic growth. In 1994, a prawn farm opened on Coetivy Island. This SMB project produced a substantial amount of export revenue for our country for many years. That same year, a modern library building was inaugurated in Victoria. Seychelles also hosted international events, the Indian Ocean games in the 1993 and the Miss World Beauty Pageant for two consecutive years, 1997 and 1998. In 2001, Seychelles had its first oil tanker, Seychelles Pride- five others followed during the successive years. On the 14th April of 2004, President France Albert Rene ceded the post of President to James Alix Michel. Upon taking up the reigns of leadership in 2005, President James Michel initiated an economic liberation strategy which entailed the gradual disposal of parastatal companies. He also advocated new economic policies which emphasized private sector partnership. On 31st July 2006, he was elected as second president of the third republic with 30,119 votes from a total of 56,787 votes cast. On the 2nd June of 2009, during the 24th congress of SPPF, the party adopted the new name of Parti Lepep. In 2011, he was again elected with 31,966 votes (55.46%). During his ten-year presidency, President Michel faithfully preserved the noble tenets of the SPPF’s welfare policy while instituting bold measures for Seychelles to meet the economic challenge of the new millennium. The innovative economic programmes that he initiated have contributed to the momentum of social development and creation of business ventures. His district visits and constant calls for national unity have made him a veritable ‘man of the people’ or ‘people’s president’. In 2008, he launched the national theme ‘Our Constitution: the voice of the nation’. This encouraged the Seychellois people to appreciate the rights and values that we have as a multi-racial society. A five year (2008-2013) IMF macro-economic reform programme was judiciously introduced. This entailed draconian measures regarding structural reforms and fiscal policies to redress the country’s external debts occasioned by various development projects that required enormous capital investments. The Seychelles University (2009) and the extensive Perseverance housing village (2011) attest to his government’s unrelenting commitment to Seychelles prosperity in all aspects of its national development. His visits overseas have helped Seychelles to maintain excellent bilateral cooperation with the community of nations. On the world’s stages, he makes it a priority on his agenda to express the vulnerability of Small Island States regarding climatic change, food security and fair trade. In 2012, Seychelles was ranked 1st on governance out of eleven African countries and 4th overall out of fifty- two nations on the African continent by the 2012 Ibrahim Index of African governance (IIAG). In 1964, the population of Seychelles was about 44,000 inhabitants, and Seychelles was merely a colonial outpost of the British Empire. Today, the population of Seychelles is over 94, 000 inhabitants, and the Republic of Seychelles is modern small Island State whose presence in the Indian Ocean is loudly acknowledged by the entire Community of Nations of the World. SPUP / SPPF and the youth of Seychelles. 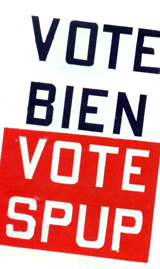 From the first year of its liberation movement, the SPUP campaigned for the rights of the Seychellois youth of 18 to vote. The SPUP youth league was formed in 1975. Its chairman was MR. Paul Hodoul. That same year, the movement organized a march from Anse Aux Pins to Victoria to demonstrate against government refusal to reduce the voting age to 18. After the coup D’état of 1977, the SPPF Government’s intention to motivate youth and to provide opportunities for their active participation in the development of our second republic saw the formation of various movements. The Young Pioneers in 1978 which recruited boys and girls of 6-12 years of age and the Pioneers for youths of 12-16 years of age. 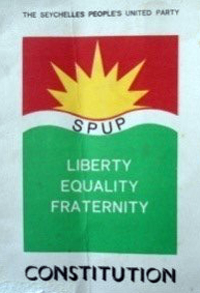 The SPPF Youth League was formed in 1985. This was the umbrella organization that united all the youth movements together: the Pioneers, the Militants, the Youth Brigades and later in 1987, the Brigad Militer Lazenes which was an arm of the Seychelles People’s Defense Forces. Members of the SPPF Youth League established friendly relationships with other Progressive Youth Organizations in socialist countries with the aim of promoting international brotherhood and solidarity. 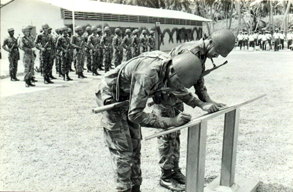 In 1981, a National Youth Service (NYS) was opened. This gave the Seychellois youths of 16-17 years the opportunity to live, study and socialize together for two years at four villages which were located at Port Launay, Capt Ternay and on St Anne Island. The NYS closed in 1998. During President James Michel’s presidency, the welfare of the Seychellois youth has been of paramount importance on his agenda. The Seychelles Young Leaders programme which was launched in 2008 provides continuous training for the young generation in many professional fields, and the JJ spirit Foundation, also in 2008, of which the president is the patron brings the Seychellois youths together to display their talents and skills in arts and sport events and to develop sense of civic responsibility by participating in community projects. 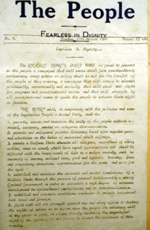 The right of the labor class was such an integral aspect of the SPUP’s campaign that the liberation movement promoted the principles of trade unionism in its struggle for social justice. 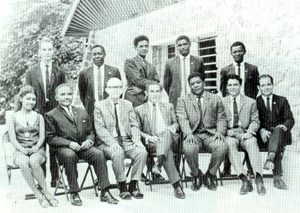 On the 21st august 1964, Mr. France Albert Rene created the Seychelles Transport and General workers Union, and in March of 1966, the Seychelles Building and Construction Workers Union was formed. Guy Sinon was president of both unions. At that time, there were about a dozen unions in Seychelles. 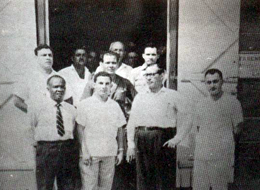 During the 1960’s, members of both unions organized strikes and protest marches to demonstrate against meager wages and dreadful working conditions. 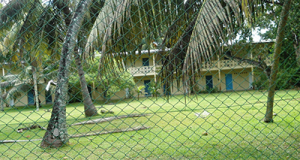 During its rallies and meetings, SPUP condemned the oppression of Seychelles workers. 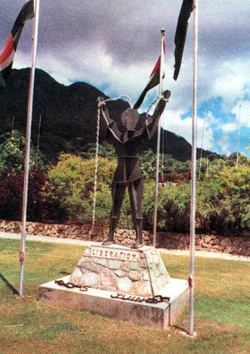 It was under the banner of SPUP that Labor Day was celebrated for the first time in Seychelles on the 1st May of 1966. 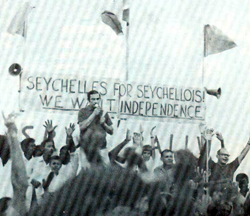 After 1977, when Seychelles was in the throes of its socialist construction there was a need to inculcate the workers with the SPUP’s ideology. 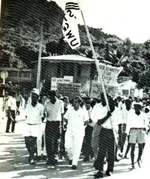 On the 18th March of 1978, all the workers organizations and unions that existed in Seychelles were amalgamated to form the National Workers Union (NWU). Mr. Olivier Charles was elected its first chairman. The fundamental role of NWU was to make the workers aware that they themselves were now the masters of society and that their responsibility, commitment and patriotism were the force that would drive the development of the new Seychellois society. Works committees were established in each working enterprise, and all the labor disputes and grievance were resolved at the level of enterprises, institution and organizations. The introduction of multi-party democracy in 1993 saw the establishment of new unions. In March of 1994, six trade unions were registered. In 1995 the Seychelles Federation of Workers Union (SFWU) was formed with the aim of dealing with employers and the government on national issues. The president was Mr. Olivier Charles. The SFWU represented Seychellois workers internationally. This enabled NWU to benefit from educational programmes and other forms of assistance. 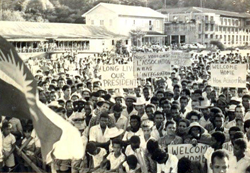 With the formation of the SPUP in 1964, the participation of Seychellois woman in the struggle for social justice played a vital role in the Liberation Movement. It helped incite the revolutionary spirit. The SPUP women’s league formed on the 23rd August of 1970. During that time it had about 800 members. The chairman was Mrs. Sylvette Pool and the secretary was Mrs. Rita Sinon (1943-1989). The movement conducted adult illiteracy classes and cooking and sewing lessons. 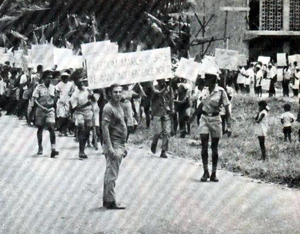 During the period leading to independence, the SPUP woman’s league epitomized the militant nature of the Seychelloise woman by participating in various strikes and protest marches. On the 8th March 1978, all the women’s movements in Seychelles were merged to form the Seychelles Woman Association (SWA). It held its first general Assembly from 19th March of 1983. Since the first decade of our socialist revolution, women had made enormous contributions to socio-economic and political development of Seychelles. From the creation of the first district councils, the first National Assembly to the present cabinet of ministers the presence and voice of the Seychellois woman has been instrumental in the achievement of our National goals. The first woman minister of Seychelles was Mrs. Rita Sinon (1943-1989) who was appointed minister for internal affairs on 19th September of 1986. Fifty years ago, there were few career opportunities for women in Seychelles and few women had any academic qualifications beyond secondary education. Today, almost half of our human-resource and manpower population are women who has attained an excellent level of post secondary education. France Albert Rene returned to Seychelles to work as a lawyer in 1957, after completing his studies in England. He was immediately disenchanted with the social policies of British colonialism, which he felt created gross injustice among the population. Consequently, he formed the Seychelles People’s United Party (S.P.U.P) in 1964 in a bid to participate in the political development of his country and also to represent the aspirations of many inhabitants whose living conditions were deplorable. He also launched his own newspaper ‘The People’. In spite of the fact that he had to face considerable odds against the other political party, the Seychelles Democratic Party (SDP), in 1966, France Albert Rene managed to be elected as a member of the Legislative Council for Praslin and La Digue. In 1970 he was elected in the New Legislative Assembly for East Mahé, a post which he maintained in 1974 when he won the majority of votes for his constituency. His relentless crusade for Independence was amply rewarded in 1975 when he went to London to participate in the Constitutional Conference as Leader of the Opposition. That same year, when Seychelles became a Self-Governing colony with a council of ministers, he was appointed Minister of Works and Land Development. On the 29th June of 1976, when Seychelles became Independent, he was appointed as Prime Minister under President James Mancham, his erstwhile political rival. 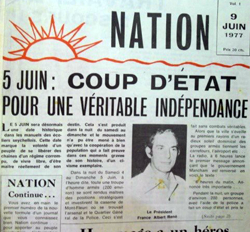 Following a coup d’état on the 5th June of 1977, France Albert Rene was installed as President of the Republic of Seychelles. During the ensuing decades, he transformed the country into a veritable welfare state by implementing egalitarian principles of socialism. The creation of various social institutions, housing developments and medical services ensured that all segments of society had access to free education and healthcare. Public transport and housing were also among his government’s priorities. After the return of multi-party politics in 1993, France Albert Rene won Presidential elections against Opposition in 1998 and 2001. 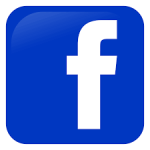 James Alix Michel started his professional life as a teacher in 1960, after which he worked in the telecommunications company, Cable & Wireless, the trade union movement and the hotel industry. The longest serving minister in Seychelles before he became President in 2004, James Alix Michel was first appointed in 1977 as minister for Public Administration and Information. He has also held the portfolios for Education, Finance, Communications, Defence, Culture and Sports. He was running mate in the Presidential elections of 1998 and 2001 and was Vice-President from 1996 to 2004. In April of 2004, he succeeded France Albert Rene as President when the latter retired. In the Presidential elections of July 2006 he was elected to the highest office. In 2011, he won a second term. During his years as the Chief Executive of the Republic of Seychelles, President James Michel implemented a range of social programmes that created economic prosperity and social justice for the Seychellois Nation. Housing and Education were among his major achievements. His most ambitious project was the establishment of the University of Seychelles in 2009. James Alix Michel is the recipient of several International awards: The outstanding civilian service (1995) the Unesco Gold Medal (2009) The Most Innovative People Award (2009) the Eco-Safety award (2010).